Nokia C1-00 RM-689 is a simple collar phone from Nokia on this post we are going to share with you latest version 3.33 Urdu flash files. the product code of this files is 059V267 and simple three basic flash files (MCU, PPM, and CNT) we added on this pack for any Nokia flashing tool or flashing device or we can say that if your looking for Urdu or first language flash files of Nokia C1-00 then you can download that flash files package. Nokia C1-00 PPM file of this phone is Urdu language file if you are looking for the Urdu language latest flash files of Nokia C1-00 then you can download this files pack. You can flash these flash files with any flashing tool like ATF (Advance Turbo Flasher) or Infinity Nokia Best easily if you have Nokia C1-00 data cable.you can also flash just language file selecting PPM and flash then your phone language file will change. If you don,t want to lose your phone data then did not click on factory reset icon if you click on that icon then all of your phone data will lose and your phone will factory reset. 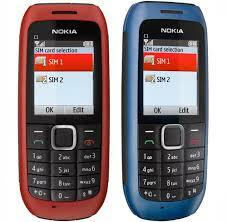 HOW TO FLASH Nokia C1-00? Flashing of this phone is so simple with ATF or Infinity Nokia Best tool you just need to connect (Nokia C1-00) RJ45 data cable with your interface which you have then on menu bar select DCT4 and then select RM-689 files will automatically be added and then connect your phone with RJ45 cable and flash.